Ian Rank-Broadley, well known for his portraits of the Queen, designed both the obverse and reverse of this coin. The obverse is a brand new portrait and shows Her Majesty wearing her garter robes and a tiara which was given to her by Queen Mary. 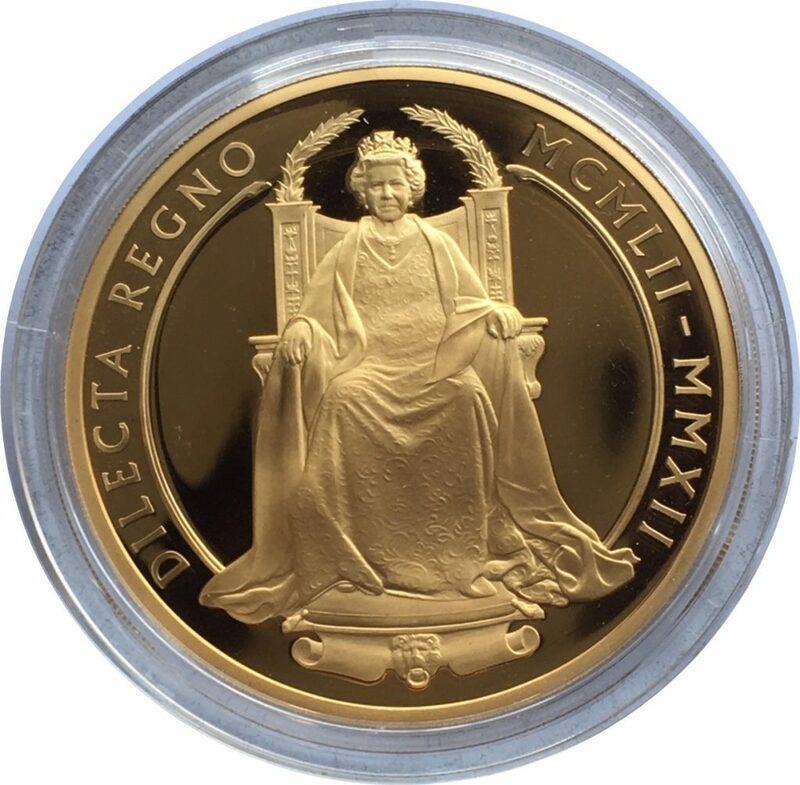 The reverse shows the Queen sitting on a throne, facing front. 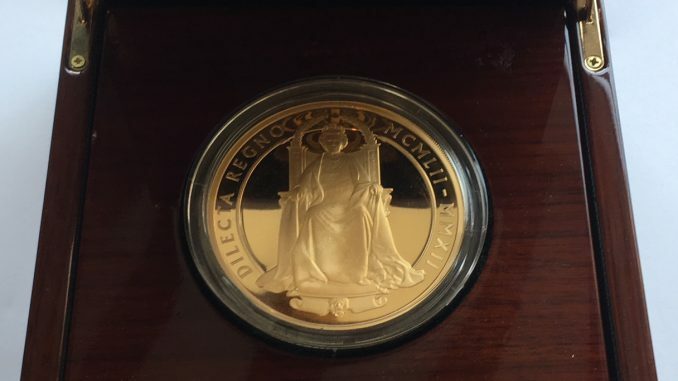 The motto is dilecta regno which means ‘I reign beloved’. The dates of her reign are shown in Roman numerals (1952-2012). 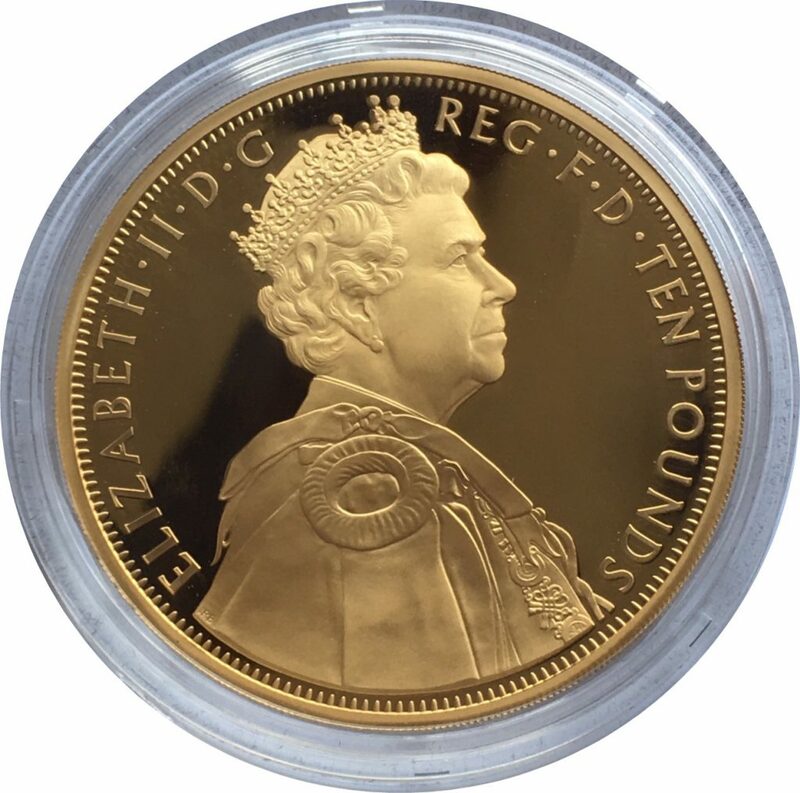 The £10 coin has a proof finish and had a limited mintage of only 250. 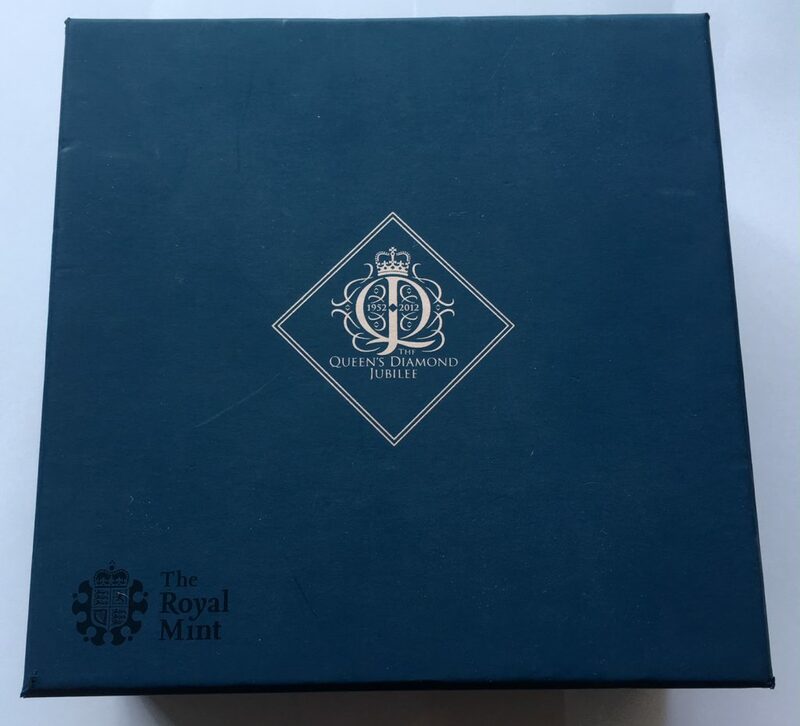 The coin was issued in a wooden veneer box with a blue card outer box. 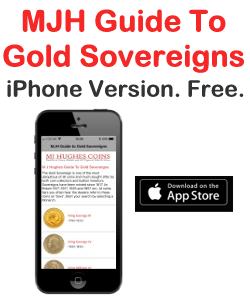 It has a numbered Certificate of Authenticity (COA) and a souvenir booklet. The only other British Monarch to have celebrated a diamond jubilee is Queen Victoria. As you can imagine this is an expensive coin and on issue was originally priced around £9,500. 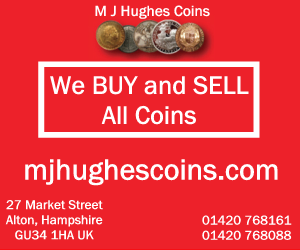 Images by permission of M J Hughes Coins.